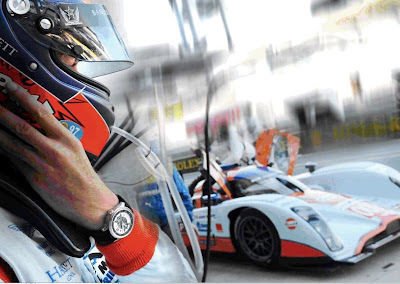 The limited series of AMVOX2 Racing Chronograph is distinguished by the chronograph counters made of carbon fiber for the first time, and several structural elements reminiscent of Aston Martin LOLA prototypes made for the circuits in which it will compete this year. For example, the monocoque chassis, and the discs and brake pads are capable of withstanding temperatures above 300 degrees Celsius. The AMVOX2 DBS Chronographe vertical chronograph by JaegerLeCoultre was a revolution within the world of watchmaking when it was first released several years ago. The characteristic chronograph buttons disappeared. In their place, an ingenious mechanism allows the start, stop and reset to zero with the simple application of pressure on the sapphire crystal of the watch. A single gesture, a gesture that’s totally natural. Starting and stopping the chronograph is accomplished by applying pressure on the crystal at 12, while to zero the counters. a similar gesture is made at 6. 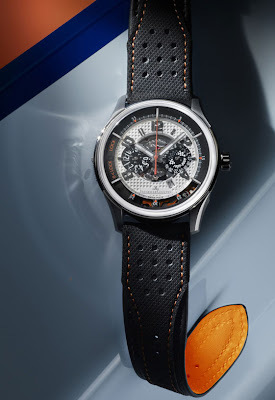 Presented as a prelude to the race car, the Racing Chronograph AMVOX2 is produced in two limited series of 100 pieces: one with a box of Grade 5 titanium with black PVD treatment, black dial and luminescent white markers, and other titanium Grade 5 white dial with luminescent black and markers. 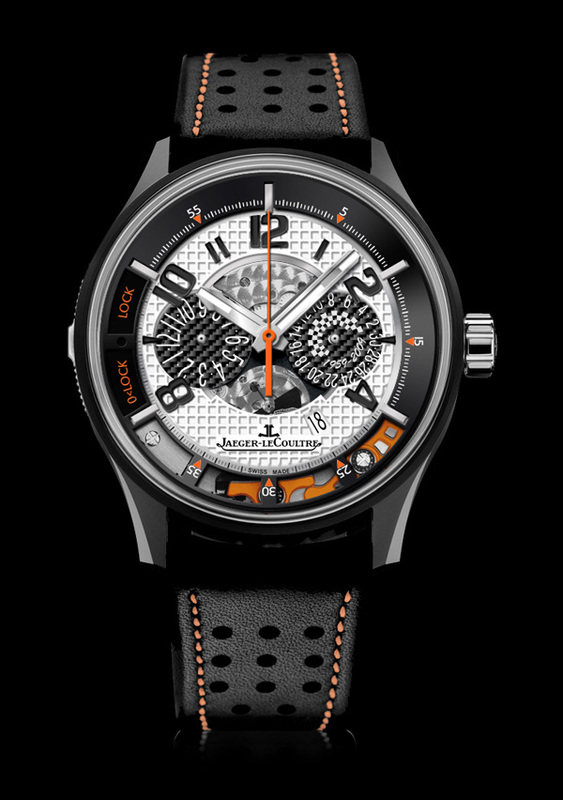 The case back is engraved with the inscription, “Aston Martin Racing”, the dates “1959-2009″, and numbers 007 and 009 for the two LOLA cars in preparation for racing the 24 Hours of Le Mans. Most of the times blogs are the same but i think that your blog can be an exception. Bravo ! Most what i read online is trash and copy paste but your posts are not alike. Bravo. A thoughtful opinion and ideas I will use on my blog. You’ve obviously spent a lot of time on this. Congratulations!